In a bowl, combine ground beef, worcestershire sauce, garlic, salt, & pepper. Mix ingredients and form 4 patties. While patties are cooking, spray cooking spray in pan on medium heat. Saute sliced mushrooms until soft. Prepare gravy using package directions. 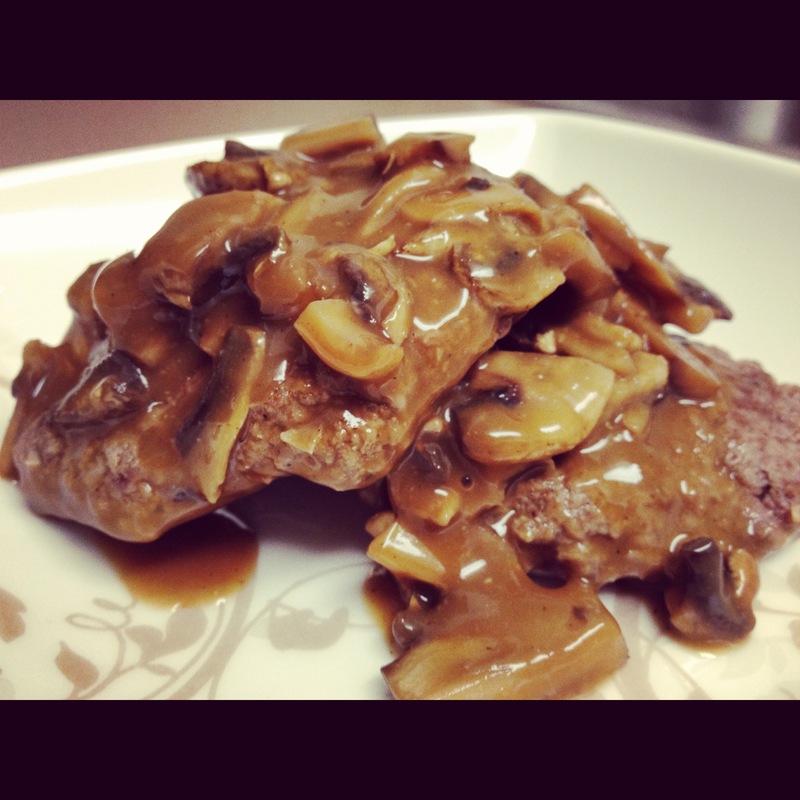 Place beef patties on plate and top with mushroom gravy.